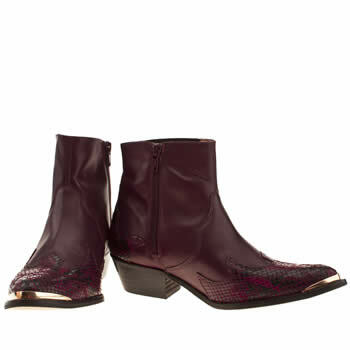 Wild Child Stories: Newest Purchase ~ Cowboy boots! Newest Purchase ~ Cowboy boots! 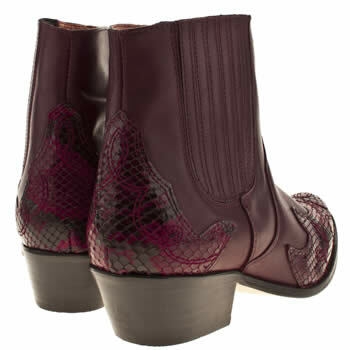 Say "Hello" to my newest purchase, a pair of Cowboy-style ankle boots. These snake-printed, gold-tipped, burgundy-leathered beauties have been on my wish-list for quite some time, and I honestly couldn't be happier with them. I had seen Topshop release some amazing blue velvet versions a while back, but as pretty as they were, they would have been far too impractical for Irish weather. 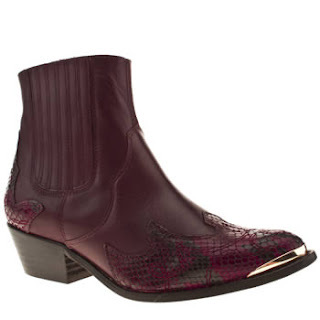 I knew I needed a to find a leather pair to justify actually buying them, so when I spotted these bad-boys, in my size, on sale ~ I knew it was meant to be. For those of you who have been asking, you can get them here!